Dhaka, Bangladesh. 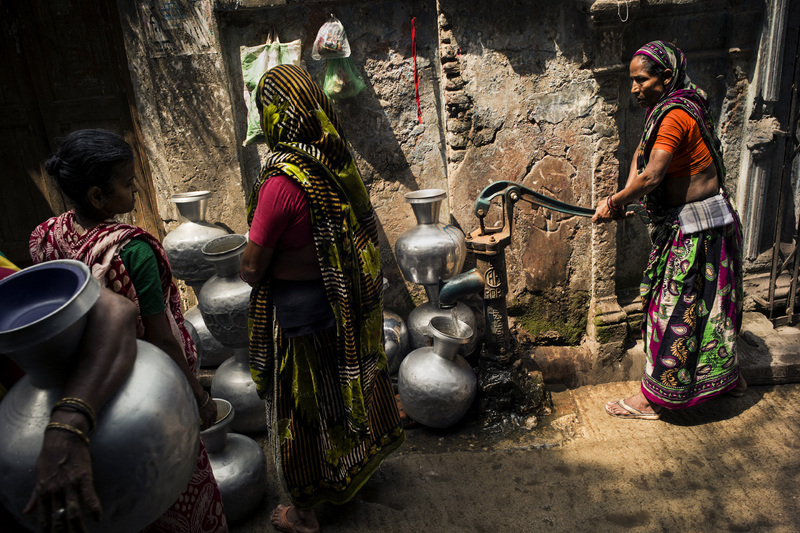 In the Old Dhaka neighbourhood where many homes do not have running water, public wells provide filtered water from the Buriganga River. The inhabitants certify that the taste has changed over the past years. Dhaka, Bangladesh. Dans le quartier de Old Dhaka oÃ¹ beaucoup d'habitations n'ont pas d'eau courante, les puits publics fournissent de l'eau filtrÃ©e provenant de la riviÃ¨re Buriganga. Les habitants certifient que le goÃ»t a changÃ© au cours des annÃ©es.